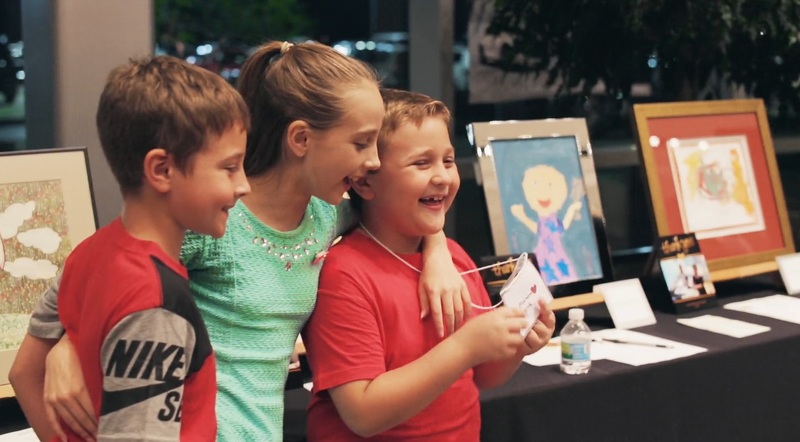 Join us for our 10th annual Art from the Heart on Thursday, September 12, 2019. "The kids are so excited to have a means to give back. They are very aware of how much Friends of Kids with Cancer does for them," says Art Therapist, Natasha Westrich-Wood. 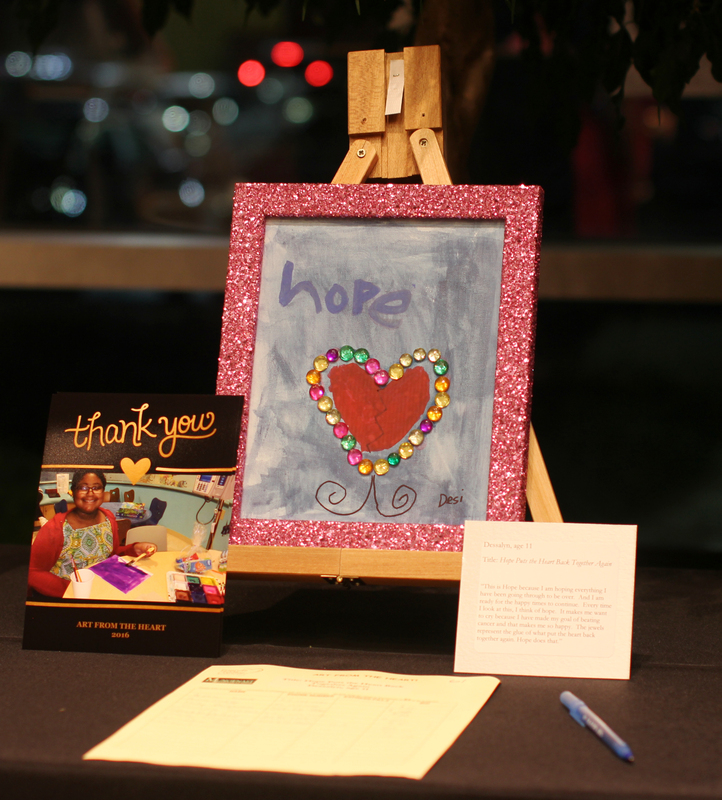 Art from the Heart is a special fundraiser that centers around the auction of over 60 pieces of art created by kids with cancer in St. Louis. Our art therapist work with these kids throughout the year on their artwork for this fundraiser. You aren't just purchasing a piece of artwork, the child's heart and soul go into the masterpiece. 100% collected benefits Friends of Kids with Cancer. A wonderful evening of live music, wine and art! 100% of the proceeds benefit Friends of Kids with Cancer's Art Therapy Program! The program is incredibly important for a patient's emotional health. To learn more about this amazing Emotional Program, please click HERE.